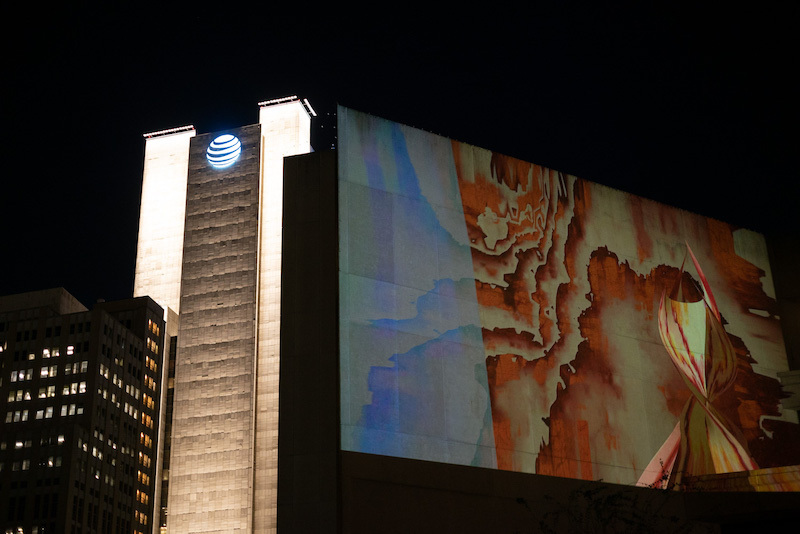 Every two years, a special one-night-only exhibition illuminates the city of Dallas, Texas, to showcase internationally recognized artists working in light, video and sound. This year, Aurora featured 18 artists in its main program, curated under the theme ‘Future Worlds’ by DooEun Choi (NYC), Justine Ludwig (NYC) & Danielle Avram (Dallas) and Nadim Samman (Berlin), and works by an additional nine artists were presented as part of Aurora Expanded. 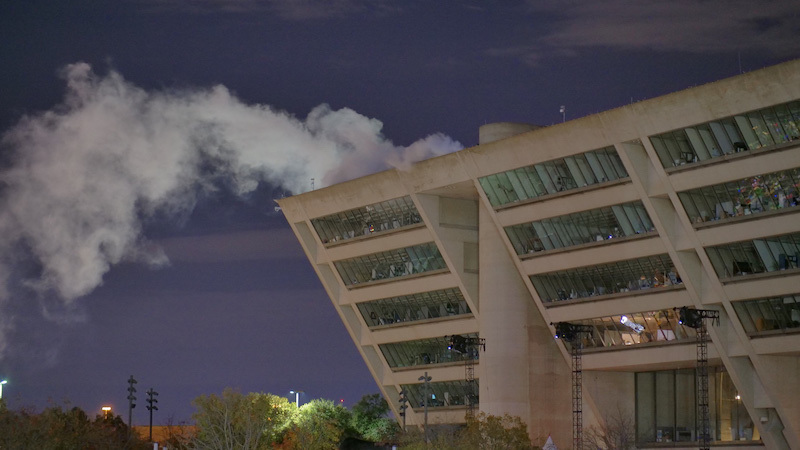 On November 3rd, the event drew more than 45,000 attendees to Dallas’s City Hall Plaza, where works by artists such as Herman Kolgen, Fabian Knecht, Alicia Eggert, Kristin Lucas, Miguel Chevalier, Lu Yang, Simon Mullan, Simon Steen-Andersen, and teamVOID & Youngkak Cho, among others, were on view. The theme of ‘Future Worlds’ acted as a forward-looking invitation for artists and visitors alike to imagine a series of possible futures. 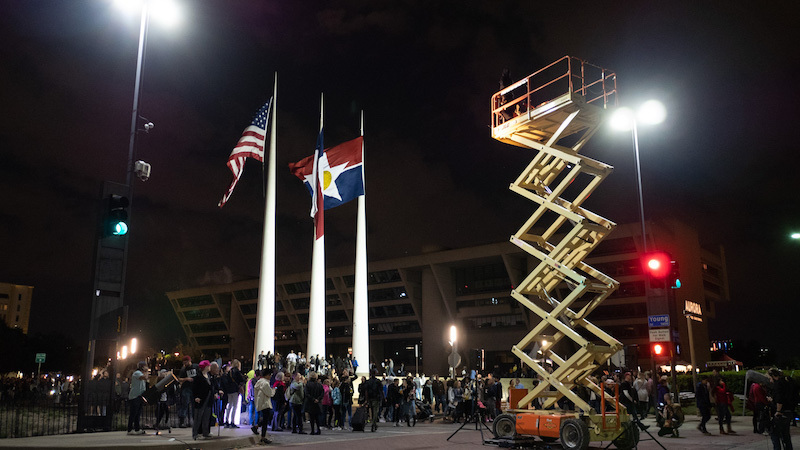 As large-scale, technological advances and environmental and political shifts present new possibilities, the public was engaged through a series of artistic propositions to think about the direction our world might take and to actively participate in its creation. 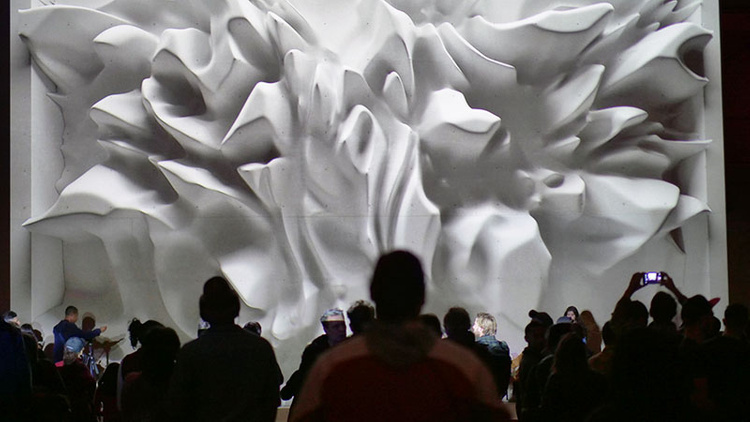 One of the highlights was Turkish, LA-based media artist and director Refik Anadol’s Melting Memories, a large-scale mesmerizing work comprised of data paintings, augmented data sculptures and light projections. 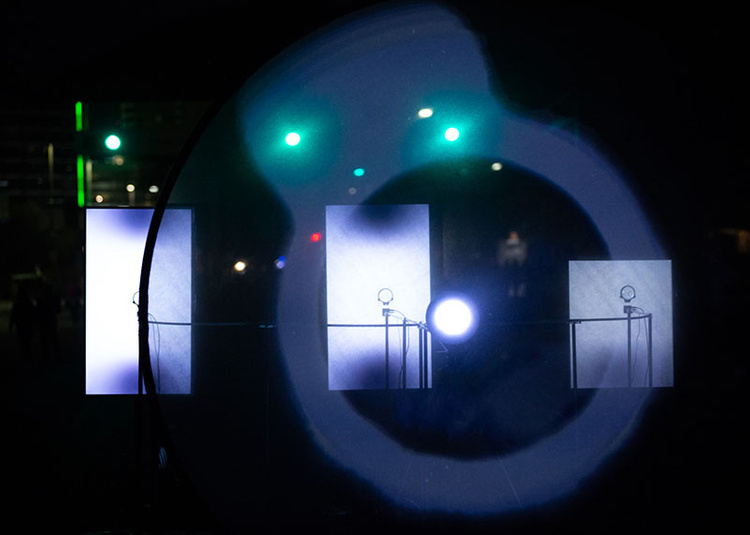 The piece debuted new advances in technology that enabled visitors to experience aesthetic interpretations of motor movements inside the human brain. To make the work, Anadol experimented with tools provided by the Neuroscape Laboratory at the University of California, San Francisco, and gathered data on the neural mechanisms of cognitive control from an EEG (electroencephalogram), which measures changes in brain wave activity and provides evidence of how the brain functions over time. These data sets constitute the building blocks for the unique algorithms that Anadol employed to create Melting Memories. Another standout of AURORA 2018 was Icelandic artist Magnús Sigurdarson’s collaboration with the Dallas-based choreographer Danielle Georgiou. Georgiou’s Dance Group (DGDG) reinterpreted Sigurdarson’s performance Dances with Whales (Keiko – Always on My Mind), which debuted at MoMA PS1 in New York, to be presented with multiple dancers on the street of their own city. 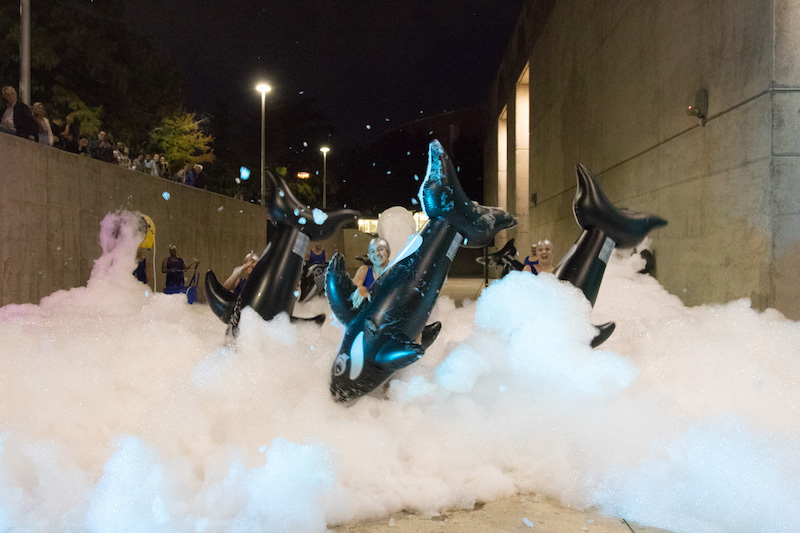 The piece, with its inflatable killer whales and a sea of foam, acts as tribute to the troubled life of the (Icelandic) orca, Keiko, who eventually starred in the film Free Willy. On a more universal scale, the performance alludes to the effects of global warming on oceanic ecologies. 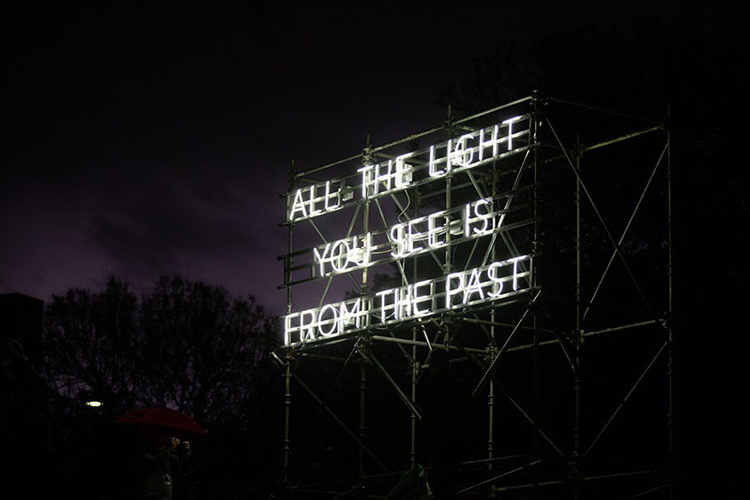 We’ve had our eyes on AURORA since 2010, when it was founded by artists Shane Pennington and Joshua King along with veteran Dallas arts supporter Veletta Forsythe Lill, and every edition seems to grow larger and more ambitious. This year’s crowd stayed through a thunderstorm and the international curators impressed with an exhibition that made a visual, intellectual and tangible impact.